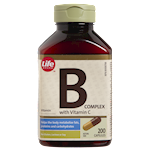 This balanced, timed release vitamin B100 Complex formula gradually releases 100 mg of B vitamins over several hours. 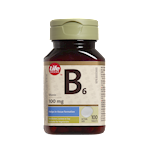 The water soluble B vitamins play an important role in your metabolism as well as many other bodily functions. 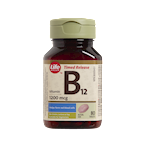 One tablet daily provides a convenient way to supplement your diet with all the essential B vitamins you need. 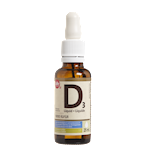 This formula also contains the lipotropic factors choline and inositol. 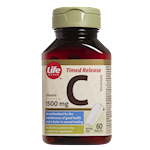 This product contains 4.8 calories and 0.38 mg of sodium per tablet. No gluten, lactose, soy, yeast, preservatives, artificial flavours or colours. Suitable for vegetarians. 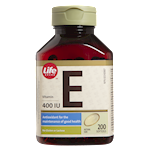 (Adults): Take 1 caplet daily or as directed by a health care practitioner.